Specials Worldwide is a new project started by the founders of Pacific Rhythm, New Forms Festival, and The UV amongst others. In the spirit of global collaboration, Specials Worldwide’s first release comes courtesy of Vancouver’s own ZDBT & Washington, DC’s own Dreamcast. The collaborative “On Love EP” between the producer and singer/songwriter is a musical anthology of 2019 “love in this club” anthems, featuring the lead single “Take A Chance (On Love)” and B-Side “Time For You”. The EP is the end result of a multi-day studio session in August of 2018 when Dreamcast was invited out to Vancouver for a live show with locally based imprint Pacific Rhythm. 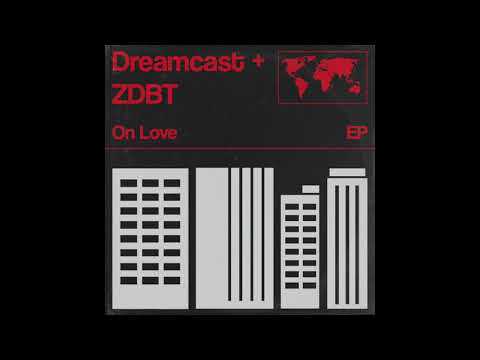 With immediate chemistry abound, the result was “Take A Chance (On Love)”, a beautiful permutation of R&B and Techno that melds the soulful vocals of Dreamcast with the peak time Techno of ZDBT (known for his work with 1800HaightStreet on labels like Lobster Theremin). B-Side “Time For You” is a slowed down, dubbed out one-take vocal with Dreamcast featuring his soaring vocal range over moody Techno chords, resulting in another ode to the pursuit of finding love in the club. Rounding out the EP is a blissed out, Trance tinged take on “Take A Chance (On Love)” courtesy of Montreal based producer Project Pablo and an even deeper, dubbier version of “Time For You” by DJ Sports, the Danish producer and member of Århus based collective Regelbau. Grab your copy here.